If you love to enjoy a crackling fire in the fall & winter months, there is no doubt that summer is the best time to take care of cleaning the fireplace surrounds, mantel or mantelpiece and chimneypieces. 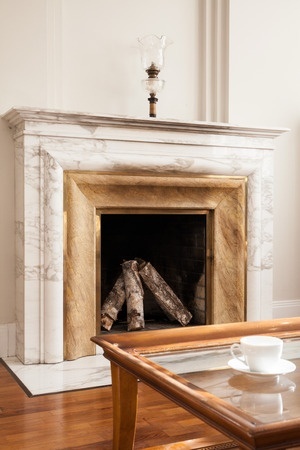 Stone fireplaces made from granite, marble, limestone, and other natural stone are our speciality at Boston Stone Restoration. We take special care to be sure your fireplace if free of soot, stains, oxidations and we can even polish the stone to eliminate minor etching and scratches. Will My Fireplace Stone Cleaning Take Long? People think stone restorations will be noisy, messy and take too long. Most of our residential projects take no more than a day. The work is no louder than a vacuum cleaner, and it is not messy or dusty! We use a wet process, so more of a slurry is created, which we are very quick to clean up. We take great care, wearing booties to protect your surfaces and of course masking and protecting surrounding flooring and cabinetry before we start. 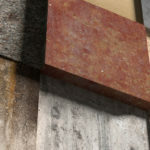 Once restored your stone should be easy to maintain. 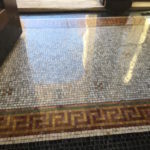 We provide all sorts of additional services from re-grouting, to tile replacement to full marble restoration with the same low impact on your home and time.